Provide and install an Interactive Prysm Collaboration video wall (5×4 LPD tiles,117” diagonal) in Data Visualization Center for use in raising the institutional visibility of research performed at DU by collaborating with researchers on statistical analysis and information visualizations and educating DU learners and researchers about visualization and statistical analysis. 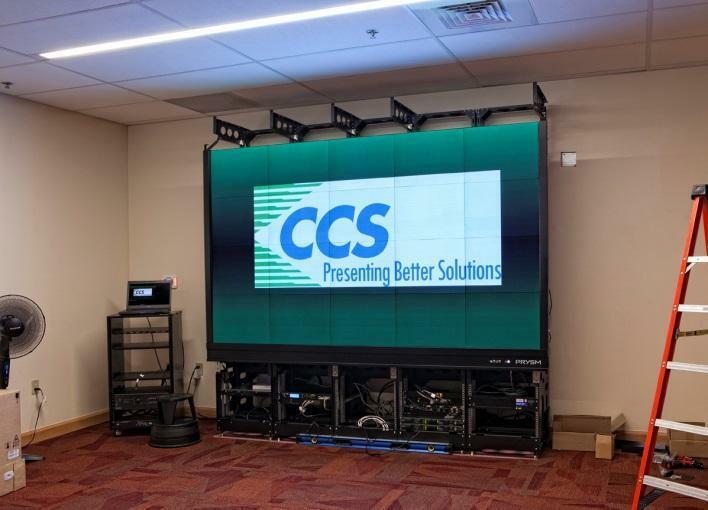 CCS provided and installed a Mersive Solstice collaboration hardware and software solution to allow multiple users to connect simultaneously for shared collaboration and decision making. 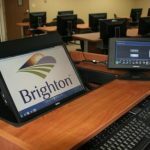 Control of the system is provided through a Crestron DigitalMedia Presentation System 100 and 7” touch panel. This was the 1stPrysm video wall installed in Colorado.